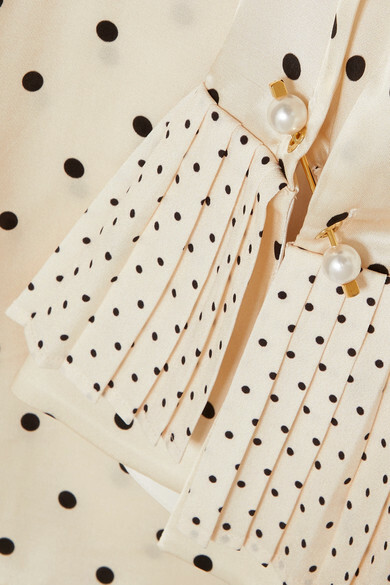 Mother of Pearl's shirt is typically feminine and playful. 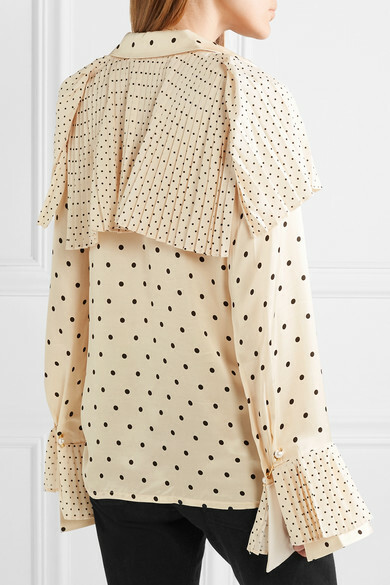 Cut from sustainable polka-dot satin, it's detailed with a swishy pleated overlay to match the cuffs and pierced with the label's signature faux pearls. 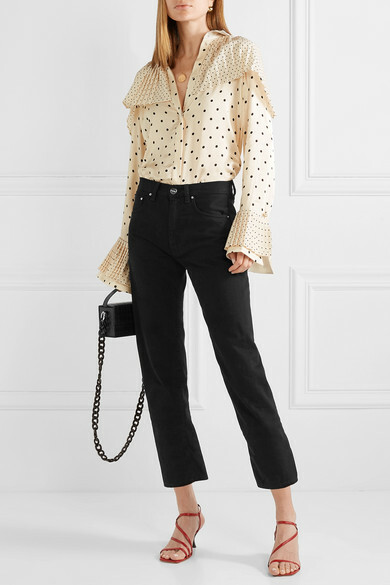 Balance the relaxed fit by tucking it into high-rise pants or jeans. Shown here with: Jil Sander Pants, L'AFSHAR Tote, STAUD Sandals, Laura Lombardi Earrings, Alighieri Necklace.